The journey has been an outstanding experience for me. And, I’ve realized the more I want my blog to be taken seriously, professionally, the more I have to put into it. All that means, I continue building on my skills and knowledge to make things better. Plus, blogging is a perfect way for me to be more than just a mom. If you’re a SAHM considering blogging, these are the reasons I believe you should get right to it! 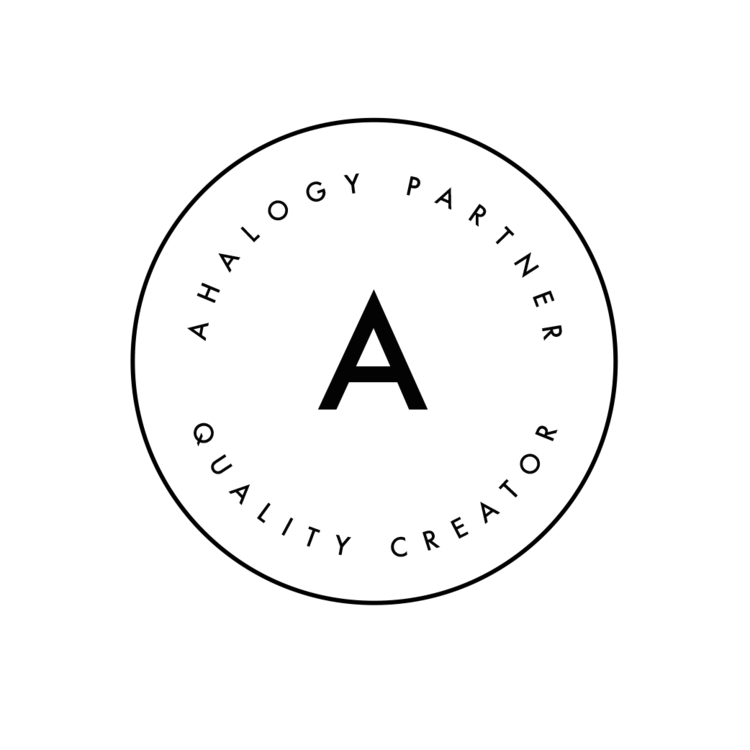 As I previously stated, I began on a blogspot.com address (Blogger platform). After a while, I learned that, while a perfect place to write for just about anyone, if you want to be seen and taken seriously, this isn’t the place to be. And, not having your own domain name makes it appear you’re not a serious blogger either. I switched to my own domain name, but stayed on the Blogger platform. Things picked up a bit, but then I realized there were still things on that platform that prevented me from doing more with my site. In 2016, I switched to a Self-Hosted WordPress site. It seemed like a really scary move, but after making the switch, I can’t believe I wasted all that time being afraid. It was relatively simple. And the benefits of a Self-Hosted WordPress site with my own domain name greatly outweigh the work necessary to switch. Two of the greatest benefits have been total control over my site (I own everything) and the amazing amount of ways in which I can customize my site. Not that I have ever need a ton of this (probably more on Blogger), but on occasion, I’ve needed to learn or figure out some form of coding. Of course, this is relatively simple when you consult Google for an answer to your questions. I seem to like CSS much more than HTML, but neither have been terribly difficult to learn. Simply writing on your SAHM Blog isn’t going to get readers. They need to know you exist. The first way to make this happen is to let search engines (like Google and Bing) know that you’re there. The absolutely best thing I’ve done for myself is to invest in a couple courses from Learn to Blog Hangouts. These courses have taught me exactly how to set up my Google Analytics, Link to my Google Webmaster Tools, and get search engines to notice my blog. You can start with their FREE 5 Day Course which is immensely helpful, and then get more in depth if you like. In the first month of using just one of their ebooks, I saw my traffic triple. Posing to your blog only goes so far as to gain readership and engagement. Sharing on social media channels has it’s perks … I mean, who isn’t on Facebook, Twitter, and Instagram these days? Each social media channel has it’s own special set of rules to get your accounts followed and boost engagement on your posts. I’m constantly learning new things about each one that helps me boost my traffic and engagement. My favorite way to get my Pins re-pinned is to use Tailwind Pinterest Scheduling. I’ve been seeing a HUGE boost in traffic lately after having begun using Tailwind. If you have a SAHM blog (any kind of mommy blog, really), I invite you to join my Tailwind Mommy Bloggers Tribe, so we can help each other boost our Pinterest Reach! I’ve been doing this for nearly 6 years. In those years, I’ve learned a lot, and with every change in the blogosphere is a learning opportunity. You need to know how to be FCC compliant, and how to make Facebook, Google, and Pinterest happy. Just when you think you have them figured out, the giants change the rules. On self-hosted WordPress, Plug-Ins are awesome (and simple) ways to customize your blog’s appearance, or the way it operates. Some are extremely important, like the ones I use to back up my work. Others are simply tools to make my life easier. Have you seen my list of 7 important plug-ins for your WordPress site? If you’re not on WordPress, you may call these kinds of things Widgets or Apps. I’m not sure. But, there are so many tools to keep your blog running smoothly, effectively, and safely. I love knowing that I could help someone build a site on WordPress after doing all my own research. Different social media channels prefer different size images. I’m not a photographer and sometimes posts don’t exactly require “pictures,” but all blog posts should have images. Using Canva and PicMonkey gets you designing easily (and you can use pictures if you like). There is a LOT of networking in blogging. Now, I’m not a very social person, but I can handle some online networking. I do this regularly in a few Facebook groups, which help me to share my posts. And, I get to help them. Some of them aren’t very “social” … just finish “chores” and that’s all you ever hear from them. Other groups are a little more social … I love these because we all share knowledge and help each other when we can. Through networking, you have more chances to offer and/or receive guest posting opportunities. And, some groups like to coordinate theme specific roundups. Further, you can do your own roundups to build content your blog specifically focuses on. Additionally, there are Blog Conferences. I’m looking forward to attending my first in May 2017. Blog Conferences are a good chance for networking with other bloggers as well as businesses who may be looking for sponsored posts. Plus, they’re helpful in teaching you how to blog correctly. BONUS: I’m going to get away from my kids for a few days. I’m an introvert. Being a stay at home mom is both good and very, very bad for me. I spend a lot of time interacting with my children and I need some very serious quiet time when they go to bed. It’s part of the reason they have early bed times. But, that’s a whole separate post of it’s own. Owning and writing a SAHM blog gives me the chance to quietly reflect on my life and to express myself in whatever manner I see fit or need as the moment arises. My blog is my way of sharing my experiences and expressing myself while fulfilling my need for silence. It doesn’t matter what skill set you have, there’s likely someone seeking answers or a how-to on something you know how to do. 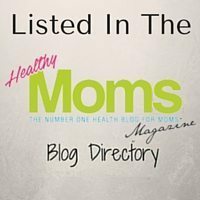 Starting a SAHM blog gives you the opportunity to help, encourage, or inspire others. For example, I regularly feature a new mommy and her “mom hobby” on my blog. I interview friends about their hobbies because they all have a different story to tell. It’s my hope to inspire moms to make time for themselves and pursue their passions outside of their families. Why? Because a mom’s life doesn’t have to be solely about being a mom. 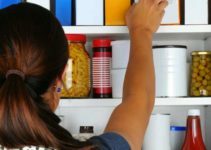 Additionally, I shared my experiences with implementing a consequence and reward jar system to improve my child’s behavior (and the follow up on what I learned about the system). Little did I know those posts would be my most popular ones to date. If you’ve been counting, you’ll notice this is the 11th reason. There’s a reason I didn’t include this in my count. I’ve been blogging for roughly 5 years and income in on and off. Mostly, it’s hobby type income and nothing consistently reliable. For me, this is a total bonus and I didn’t want to get your hopes up. 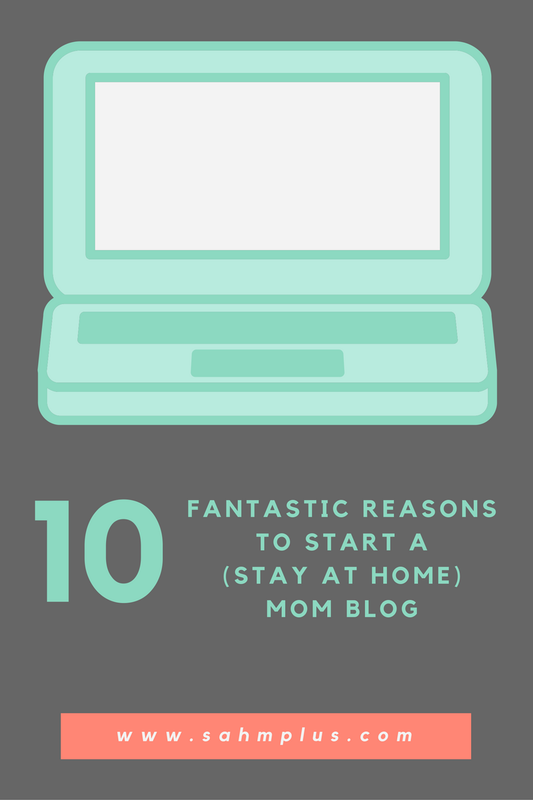 Are there any other benefits to starting a SAHM blog (or any other mom blog)? As a SAHM blogger, I totally agree. 🙂 Having my blog has taught me so much and given me more to do and love about my own life. These are great reasons! I am not a stay at home mom, but I guess anything that keeps anyone learning is really awesome. I work full-time with 2 toddlers and started my blog recently and I have to say that I’ve learned a lot in a span of 5 months. I just started my blog and I love it. I’m at wahm and I love how having the blog gives me an outlet. So, you work in addition to blogging? I’m usually so overwhelmed with two kids, the house, and the blog that I can’t even imagine doing this if I worked, too. I have serious respect for you! Great job mama! As a blogger myself, I love every bit of it. I learn something new every day! It’s also my way to remain creative and expressive while getting out isn’t an option as my kids are doing online school and I work another job from home. Wow, sounds like you’re stuck at home a lot! Yes, you’ll probably always be learning as long as you’re blogging! Love it! I work part-time and stay at home with the kiddos part-time. I so appreciate the insight. I also love your honest about the income aspect. Very interesting all around! I started blogging recently, and am currently a sahm and i really feel like blogging fills a sense of purpose in a way. As a sahm we can kind of lose ourselves, at least i feel that way. Blogging can give a fun sense of purpose. I feel your pain! I felt like I totally lost myself when I had my first baby. Having a hobby outside the home and then blogging has really helped me find my own way again. Starting a SAHM blogger is so complicated! It can be, for sure. But, it’s worth it, in my opinion. Networking with others can really help when things seem totally complicated, and then you’ll get it figured out and be so excited! Good luck! The biggest benefit I can think of is the sense of purpose that blogging brings to you. Definitely a sense of purpose outside of your family. It’s your own purpose! This is such a great list!! 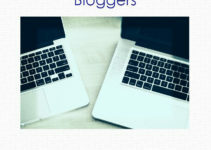 I’ve loved learning about everything blog related!! Love this! Expressing yourself is definitely a good one to have on there! Omgoodness….the giants really do change the rules, LOL!!! I love the self expression and helping others–this is huge for me! I like hearing this from someone who’s been there and done that 😀 Thanks for sharing your insight! Thanks for stopping by. I always hope that my stories can inspire, encourage, help, or make people think! I started mine as a hobby when my 3 year old was born. After her sister was a born a year ago I decided this year I would try to do more! It’s been fun and eye opening. Thanks for the advise, not all are willing to share. Personally, I believe there is enough pie to go around! I’m always willing to share my advice and personal experience, because yes, there is plenty to go around! I too have learned so much since starting my blogging journey 9 months ago. I still have no clue about coding…lol…and may never get that one! One of the best reasons for me turned out to be Hey I can do it! Yes! These are all really great reasons…and a lot of the reasons that I blog too. I love the interaction in some of the groups because I am also an introvert. It’s definitely a learning experience and helps keep my mind sharp.